Unlike other services where your customers must leave your website to view and purchase your images, StudioCart strives to create a seamless purchasing experience that is branded to your business. Because StudioCart hosts, or is integrated into your website, you control the customer experience. This total integration makes it easier for your customers, and strengthens your brand by keeping your customers where they belong, on YOUR website. Don't have a website? StudioCart can help. A single home page is included with your monthly subscription, or for just $9.99 a month you can add StudioCart's EZ-Website feature. 1 - 10mb POP email account "@yourdomain.com"
Already have a Website? StudioCart's	site customization tools allow you to tailor StudioCart e-commerce functionality to the look and feel of your current website. You can change site colors, add your logo, change header and footer backgrounds, and more. Public galleries allow any visitor to view and purchase prints while private galleries remain unlisted and are only accessible to users with a password. You can create as many public or private galleries as you need. You can upload as many images as you wish to each gallery, and galleries can be posted for any length of time. StudioCart's "Gallery Loader" software makes it easy for you to watermark and upload your images. 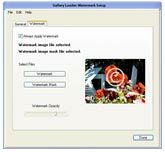 Built for both PC and MAC, Gallery Loader lets you import you own custom watermark file to protect your images. It also makes it easy for you to populate your galleries. Simply select your image folder and choose a gallery, and Gallery Loader will optimize your images for the web, add your custom watermark, and upload your images to the StudioCart server where they are instantly available to your customers. 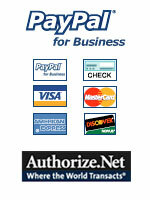 StudioCart offers five very flexible payment processing options. Each option is fully integrated into your sales management tools for accurate and up to the minute sales and tax information. StudioCart has been certified to be compliant with the Payment Card Industries (PCI) data security standards supported by all credit card associations. Every transaction is protected by Secure Socket Layer (SSL) technology, and all credit card data is stored in an encrypted state, so you can be confident that you and your customer's data is kept from prying eyes. Create custom offering/price lists for each of the different types of events you photograph. When you create a new gallery simply choose a price list, and the offerings and corresponding prices will automatically be applied to that gallery. Monthly reports may also be generated based on your price lists to provide you valuable feedback on which type of event or pricing structure is most profitable for you. Need to offer multi-pose packages or products? With StudioCart you can create as many packages or multi-pose items as you need. StudioCart's package feature makes ordering simple for your customers by creating a guided package fulfillment path that helps customers add the correct number of poses and images to their package. Once the package is complete it can be added to their shopping cart. StudioCart gives you the flexibility to offer your customers just about any product you can imagine. Creating product offerings is simple! You can add as many options as you need, and even allow your customers to personalize your offerings with up to three lines of text. If you sell photo specialty items like photo mugs, mouse pads, T-shirts, or trading cards, personalization is key to increasing customer appeal and generating more sales. Let your customers do the marketing for you! With StudioCart every image in your gallery has the potential to drive more traffic to your web site and generate more sales. Your customers can create personalized photo postcards of any image with up to 200 characters of text. They can even choose to be notified when the recipient views the postcard they sent. Every postcard recipient is given immediate access to the gallery, where he or she can purchase the image that was sent and browse/purchase other images in the gallery. Expand your product offerings instantly with StudioCart's automated color conversion feature. With each gallery you can choose to offer your customers B&W or sepia prints at the click of a mouse. Just upload your full color image and StudioCart will instantly create a B&W or sepia preview for your customers. Keep customers coming back with "MyFavorites" customizable photo albums. StudioCart allows your customers to create and save their own favorite photos from each gallery. After they have chosen their favorites they can order all of the images in their "MyFavorites" album with a single click, or compare two of their favorite side by side to help them choose the best pic. Because your customers can save their "MyFavorites" gallery for later viewing, chances are good that they will return to your site, and more clicks equal more sales. Let your customers choose their favorite images and compare them side by side. StudioCart's image compare tool lets your customers choose the best images just as they would if they were looking at actual prints. Once customers choose their favorite images they can then narrow down their choices quickly and easily. Your gallery administration console gives you up to the minute traffic and sales information for every gallery, and allows you to easily create new galleries. Pre-publish your galleries before you photograph the event, and StudioCart allows your customers to sign a mailing list to be contacted when the images have been posted. Template based email messages allow you to communicate with your customers at the push of a button to notify them when images have been posted, and give them notice before a gallery is removed. How are sales? With StudioCart's interactive sales statistics tool you will always have an answer. Graphic reports make it easy for you to see sales trends by month and gallery type. Want to know the sales mix for a particular month? Just click on the bar graph and see a chart showing the complete sales breakout. Having this level of sales information at your fingertips helps you quickly identify areas of profitability, and enables you to make better decisions for your business. Does your business operate in a state that collects sales tax? Sales tax collection and reporting is a breeze with StudioCart! StudioCart has incorporated live tax data provided by Tax Data Systems. You simply choose what states you are required to collect taxes in, and every applicable transaction will be charged the appropriate taxes based on your customers' zip code and local tax laws. This includes taxation on shipping or shipping and handling. Come tax time, you can generate a PDF report of taxes collected broken out by State, Zip Code, County, and City. To reduce your workload and streamline your order management process, StudioCart offers full order export capability to PhotoOne's studio management software. Granite Bear's PhotoOne software offers customized, automated workflow management and customer relationship management solutions aimed at increasing your efficiency and driving more sales.